Ngā mihi mahana ki te whānau whānui o Earth Beat. 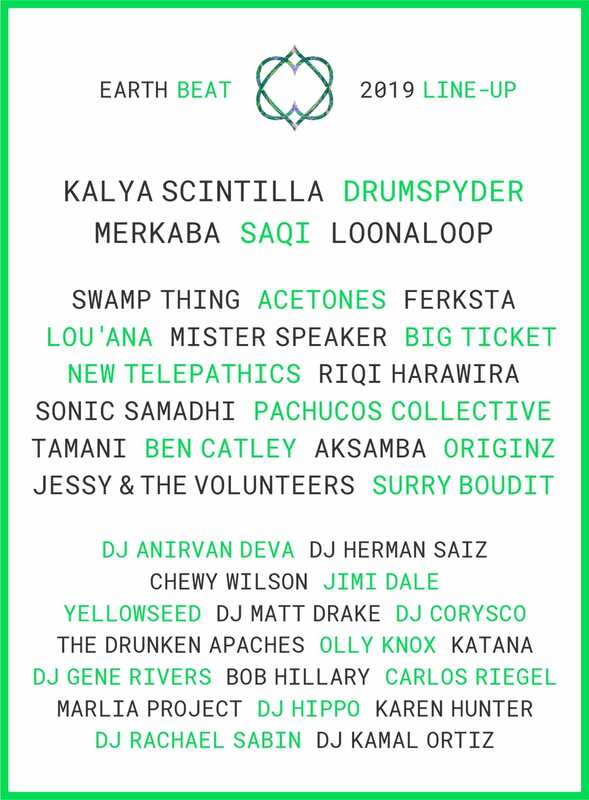 Earth Beat 2019 is a co-creative and transformational festival of music and arts on the beautiful shores of the Kaipara, Tāmaki Makaurau (Auckland). It has been two years since our last festival. Earth Beat 2019 is about new beginnings. We are honored to be partnering with Auckland Council and the whenua of Atiu Creek. We invite you to join us as we get to know the land and explore the potential for 2020 and future years. Through art, music, dance, and workshops, Earth Beat is about unfathomably fun experiences that help us release and reconnect to ourselves, the land and our community. Go to earthbeatfestival.com to see an updated lineup of artists and workshops and the read the Earth Beat FAQ for more info. Over 40 Workshops + Presentations. ONE FAMILY, ONE LOVE, TĪHEI MAURI ORA!